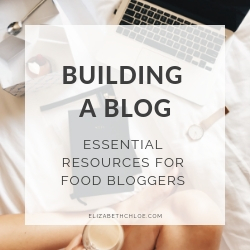 This is the second in a series of food blog income reports, documenting the income and traffic of elizabethchloe.com. This month I’ve focused on food blog SEO (search engine optimisation) and updating old content, so get comfy and let’s dig in! Oh heeyyy! Welcome to the second instalment of my food blog income report series! If you checked out January’s income report you’ll know my focus was on creating new content. February was a little different – I only posted three new recipes and instead focused my time into search engine optimisation and updating old content. I learnt SO MUCH this month, so let’s get to it! If you’re wondering why on earth I’m laying out my income for the world to see, let me first explain. Before I started my blog, which is now just over eight months old (! 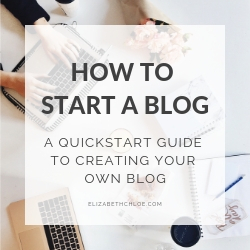 ), I spent a lot of time reading about how to start one. Income reports have always been a source of fantastic knowledge and inspiration to me. Pinch of Yum’s income reports were the first reports I read. Those reports lit a fire in my belly and motivated me to bite the bullet and get started. RPM = Revenue per mille aka how much you earn per thousand pageviews aka (earnings/pageviews) x 1000. What Google is looking for when it assess’ your site are three things. Expertise. Authority. Trustworthiness. ‘EAT’ for those of you that love an acronym. There are tonnes of different ways you can demonstrate EAT. More than I have space to type about. Google made super useful Search Quality Rating Guidelines which go into great detail about EAT and so much more. Fair warning, it’s not the easiest read, but boy is it useful! Some of the things I have been trying to do demonstrate EAT are the following. Adding an FAQ and answering the questions the internet are asking. Adding in a ‘jump to recipe’ button at the top of each page. Making sure all of my images have appropriate ALT tags. All of these things improve user experience, which is what Google is looking for. Plus a better user experience means people are more likely going to come back to your site. It’s a win-win all around! Towards the end of January, I discovered a site called Search Engine Seduction. It’s run by a lovely lady called Mary who is a little bit of an expert in the SEO field. She has an SEO course available on her site covering everything you need to know on SEO. I haven’t done it. YET. (Let me refer you back to that $19 I made in February…). But Mary does offer a super helpful freebie that you get when you sign up to her newsletter. It’s a blog post cheat sheet which gives you an awesome template to use when writing your posts. This template helps you optimise your blog post which makes your post nice and clear for the reader while also making Google happy. I’m slowly but surely going back over all of my old posts so that it follows this structure. And I 100% believe it’s making a difference to my organic traffic. Before January I never even considered how keywords would affect organic traffic. Scratch that. Before January I never even considered keywords. 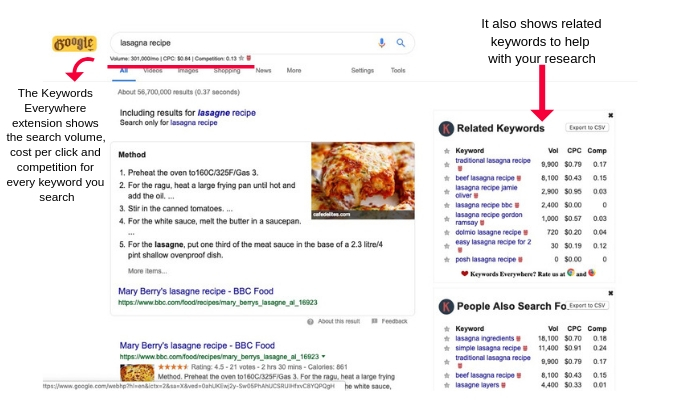 Keywords and key phrases are search terms that people put into a search engine to help them find content related to that keyword. For example ‘lasagne recipe’, ‘vegan brocoli soup’ and even ‘food blog income report’ are all keywords you might throw into google. But certain keywords will result in more traffic than others. And this is where you have to do your research. I use the fabulous and, most importantly, FREE Keywords Everywhere browser extension. It shows you the search volume, cost per click and competition of any search term you throw into Google. As a new/small blogger, I aim for keywords with search volumes between 0-10,000 and a competition metric of less than 0.4. And slowly but surely my posts are getting closer to the front pages of these keywords. Keyword research is a lot of trial and error. But by actually doing it I’m beginning to see the benefits! Another tool I use to help me with my research is Answer The Public. Type in your keyword and it will give you all of the questions people are asking around that keyword. Use it alongside the Keywords Everywhere Tool and you can find out the search volume of those questions. Answering the questions people are answering around your topic not only makes Google happy, but it also makes your post useful and informative and therefore improves user experience! There is a tonne of other stuff that goes into SEO. Stuff like page speed, backlinks, image size, use of a recipe card and much more. These all affect how google (and other search engines) view your blog. But doing it makes such a huge difference. Optimising is a constant process. I’ve updated just over half of my old posts using Mary’s blog post template and I definitely plan on updating the rest. Over the coming year, I also plan on adding process shots to all of my old recipes. It’s going to be a long process but I definitely think it’s worth it. Stay tuned and I’ll let you know if it makes any difference in the upcoming months! 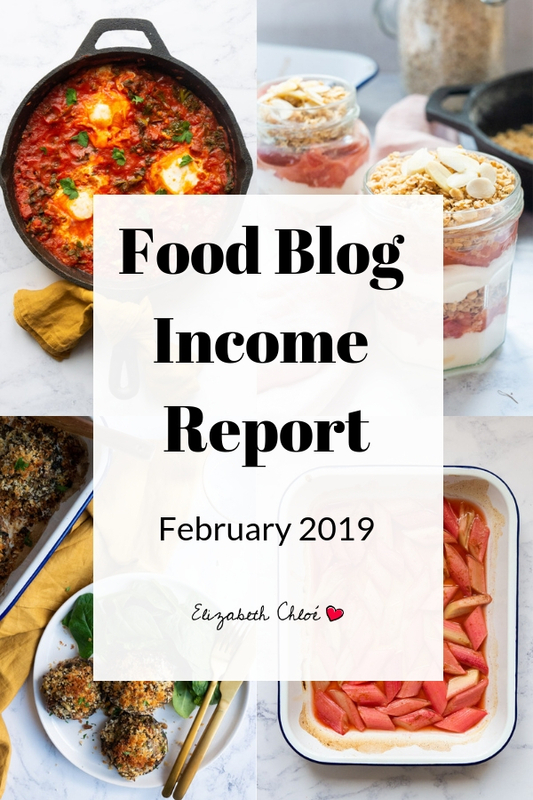 Let me know what you think of this food blog income report in the comments, and if there’s anything you do on your blog to appease the Google Gods! This is fascinating Lizzie. You have not only done your homework but generously shared this. Looking good Elizabeth. I am looking forward to following your income reports. Hope you will continue. One thing, I will suggest you change all your external links to open up in a new tab or new window. At the moment you are driving users away from your site every time they click on a link that points external. Thanks for your comment Jesper! Yes, March’s will be on the way soon! Ah, this is something I have been trying to do but I have definitely missed doing that with a few external links. Thanks again!